We hauled Villa G out of the water and onto the hard stand today. Nye and Toe will give her a new paint job, fix up some teak and take care of some small repairs. 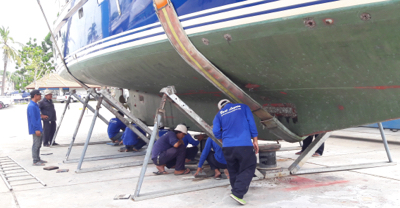 I counted 12 workers from Phuket's Boat Lagoon Marina helping getting her set up on the hard stand today. 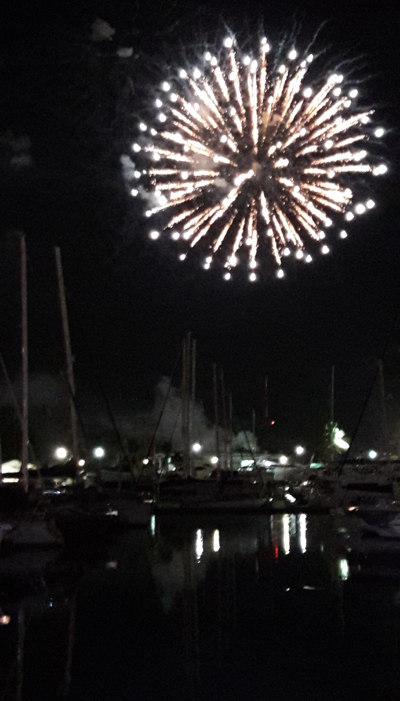 By the way, how many marinas prove live entertainment and a fireworks show. Two evenings each month here they have the Lighthouse Market with food vendors, cooking shows, movies and a night club singer. Way cool!